In February, Chef Christopher Coombs was a semi-finalist in Eater’s Hot Chefs competition. 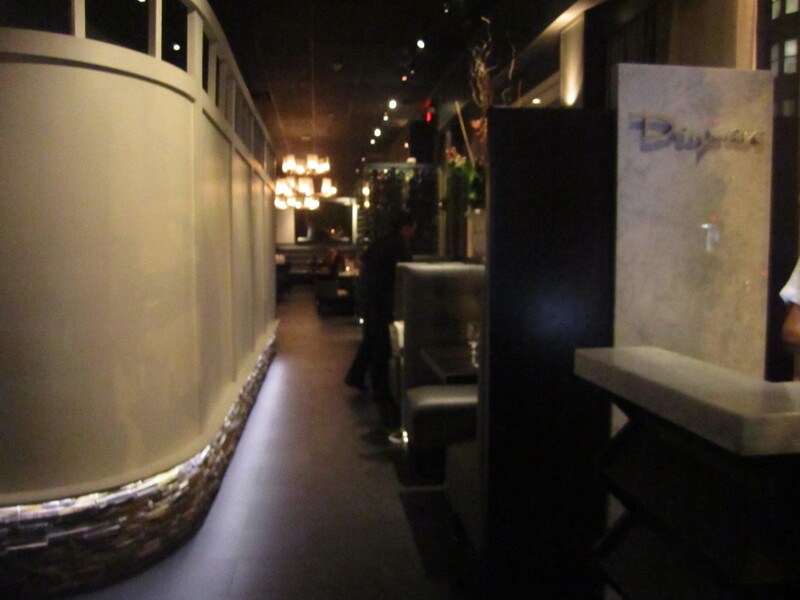 Although we were disappointed he didn’t get to go to the final round, we still appreciate his non-physical talents as the culinary genius behind Deuxave and DBar (BMH’s review of DBar). 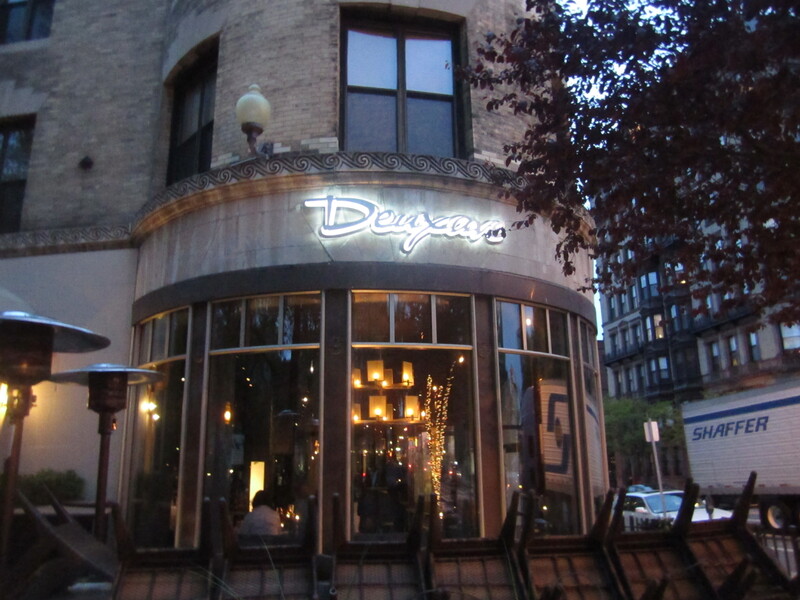 Located near Cafe 47, India Samraat and Sweet Cupcakes, Deuxave brings fine dining on par with Oringer’s Clio to the neighborhood. We first tried Chef Coombs cuisine at the Chef’s for Obama Fundraiser, where he served seared Maine diver scallops over black quinoa, delicata squash and maple aioli. The well executed and complex scallop was one of our favorite dishes of the evening and we knew we will have to have drinks and dine at Deuxave. 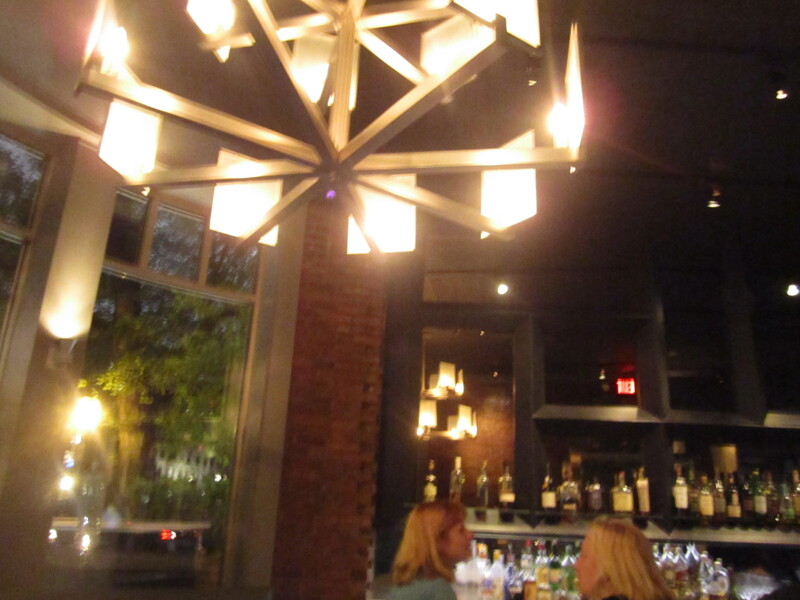 The bar area is quite elegant, relaxing and reminded me of Island Creek Oyster Bar’s bar. 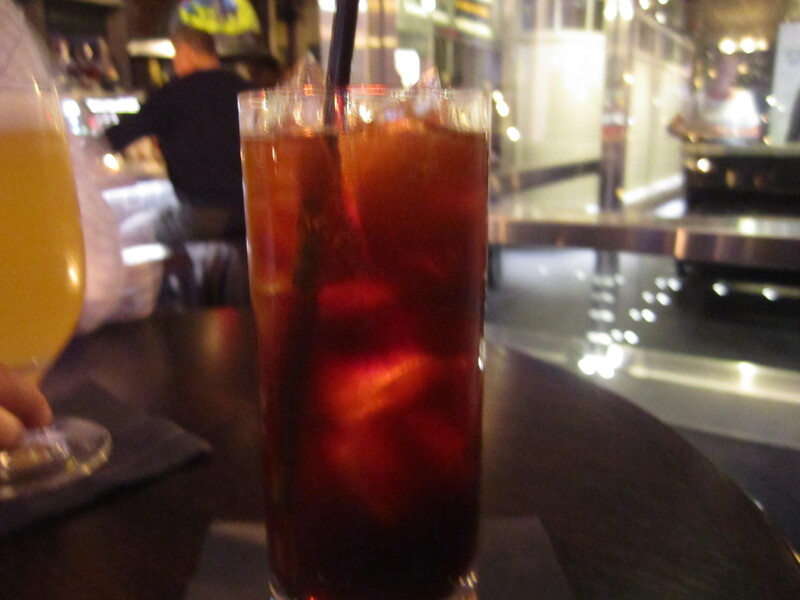 Throughout service, our waitress was very attentive, knowledgable and accommodating. Deuxave really sets the bar high in terms of great service. 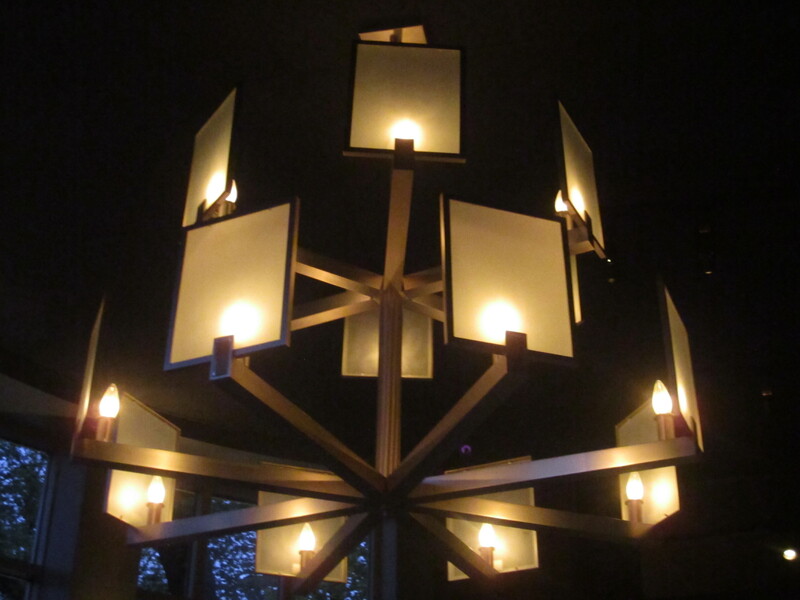 The modern chandeliers radiated a soft glow throughout the space. My friend enjoyed an Allagash White, while I tried a Vertigo with lemon juice, ginger ale, and Averna. The Vertigo was refreshing drink and featured Averna, an herbal liqueur which paired well with the brightness and tang of the ginger and lemon notes. 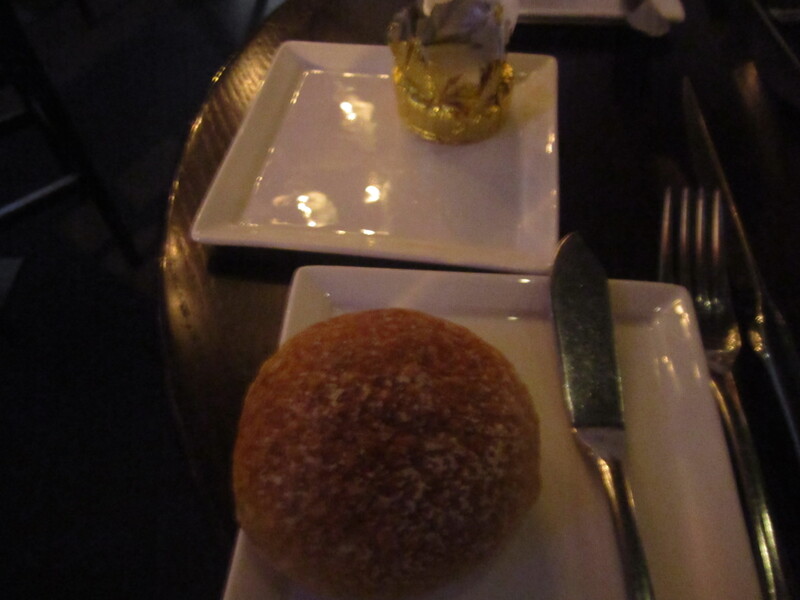 The complimentary bread rolls had a nice crust and soft interior. 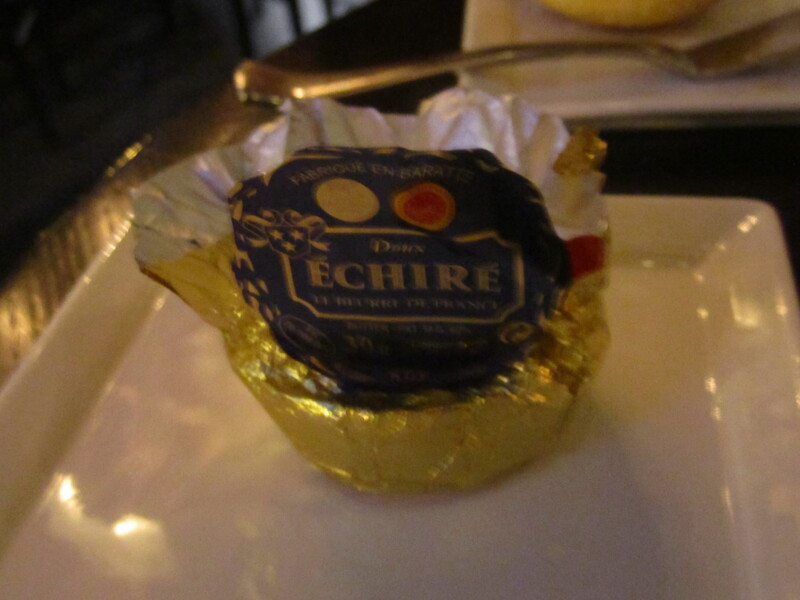 The Echire artisinal butter, from Western France was perfectly soft and spreadable. 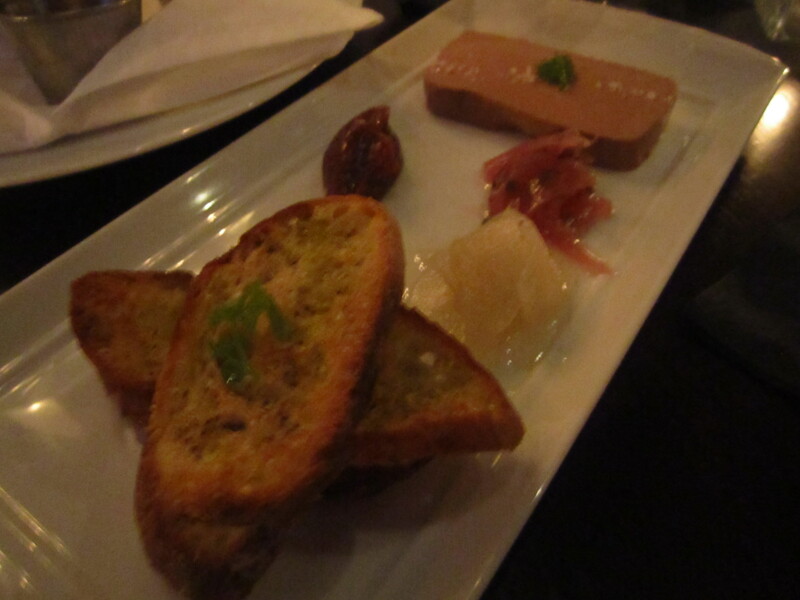 I really enjoyed the rich Duck Liver Pâté with Rhubarb Mostarda, Tarragon Pickled Red Onions, Vanilla Poached Asian Pear and Toasted Baguette ($11). Our father loves all pate and our mother used to make for him a homemade rustic country pate to spread on his Sunday baguette. The rich intense duck flavor of the pate, coupled with the various sides yielded unique, yet complimentary flavor combinations. My favorites were the rhubarb and asian pair. 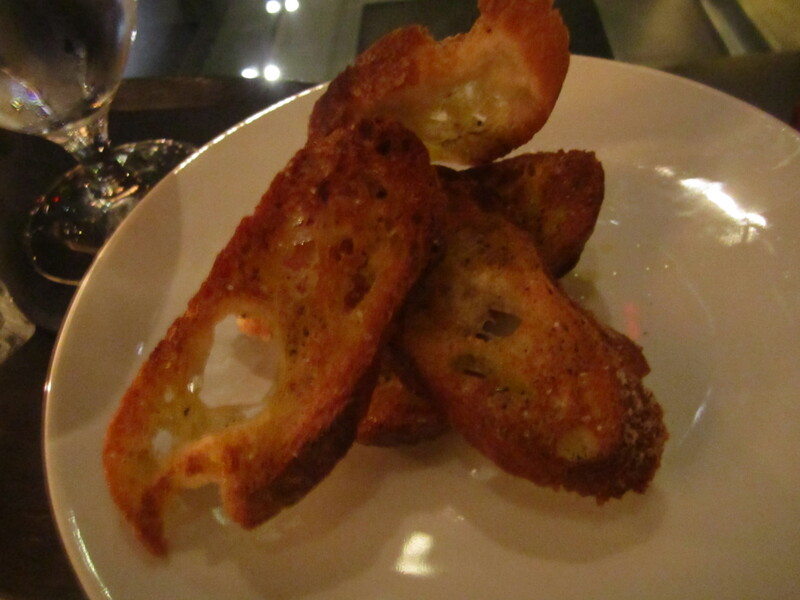 We even needed a few more slices of toast and our sever happily requested this on our behalf. 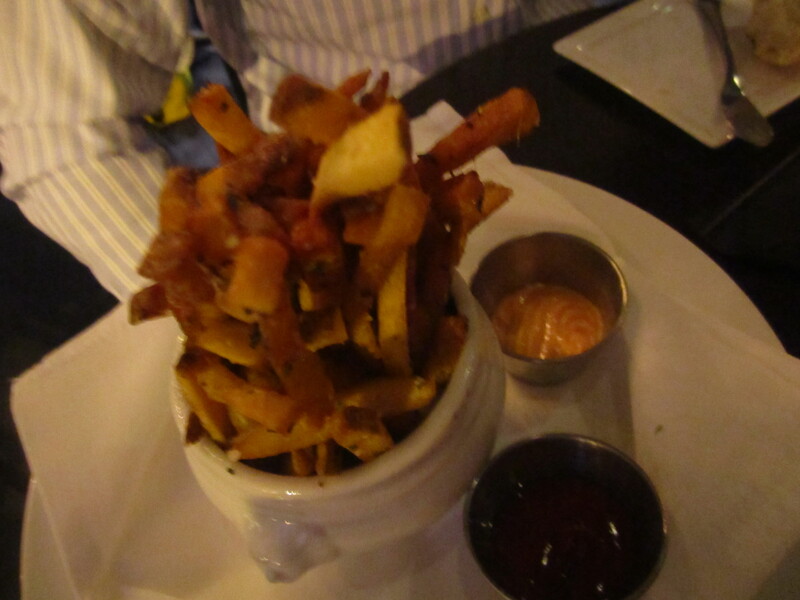 We also snacked on some French Fries “Au Canard” with herbs & parmesan with a side of ketchup and aioli ($9.00). The fries were nicely crisp and flavorful, but I think Portland’s Duckfat fries are still unbeatable. 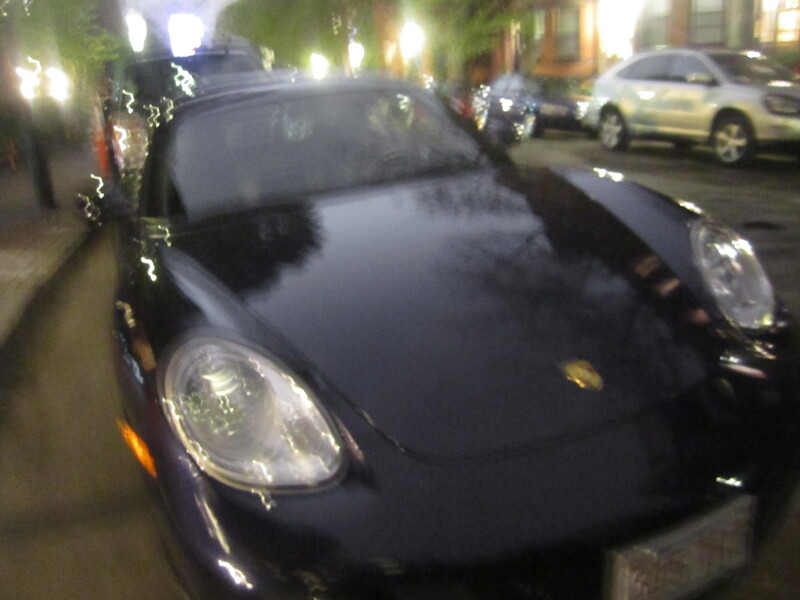 My friend’s new set of wheels and my sleek ride home.